Procedures and tests performed to provide you with the best quality product. Each Nationwide tank undergoes a stringent quality control procedure- API 12P traceability packet. First the tank has to pass a series of checks and balances within the sales team. This step includes input from our engineer, chemist if necessary, and our graphic designer. Once cleared for build, the in-process inspection begins. During this process we do a series of visual inspections followed by three acetone swipe tests before three thickness tests. The next three tests are repeated 12 times to test for Barcol hardness on the lid, bottom and tank. The last test performed is a hydrostatic head test. This is where we water test our tanks for 24 hours. 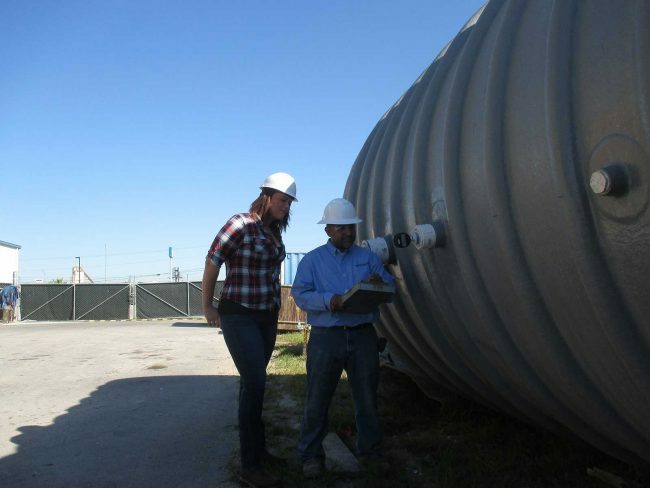 For large underground tanks we pressure test. Nationwide ensures that every aspect of a tank order is perfect by following a thorough Quality Control Checklist. 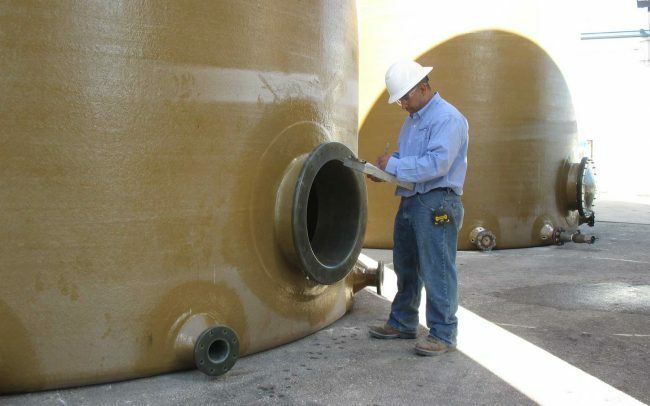 From the inception of a tank there is the Document Approval followed by Material Preparation/Job Staging. Bottom Cap & Tank Build, then Dome Build is checked followed by VOC Documentation. After that we exhaustively inspect all fittings to confirm quality and then the tank must be labeled correctly.